How did five ‘hard-to-place’ dogs find homes? “Several dogs with special needs got boosts toward adoptability. We used grant funds for extra veterinary care that removed obstacles to adoption for these dogs. 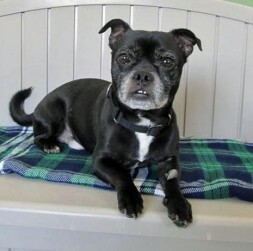 “Dart is a 6-year-old male Pug cross who is very social, loves to give kisses and had very bad breath. His teeth were so bad that adopters were reluctant to look at him very seriously. Thanks to you, lucky Dart got his very bad teeth cleaned, a tooth extracted and was neutered. He now has a sweet smile and has been adopted. 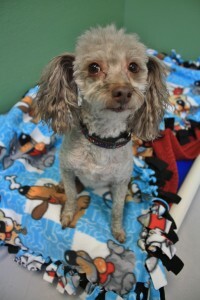 “Choodle is a male Poodle/Chihuahua cross who loves to be dressed in sweaters and cuddled but sadly suffered from bad teeth and very bad breath. Choodle also benefited from having his teeth cleaned and needed dental extraction completed and was neutered. He became much more appealing and is now in his forever home. 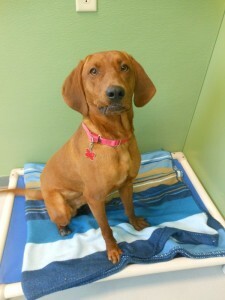 “Wyatt is a male Redbone Coonhound — a common dog in this part of the country — surrendered because he was missing a foot. Wyatt was neutered, which is just what it took to make it easier to place him. He is now living in a Coonhound-loving home. 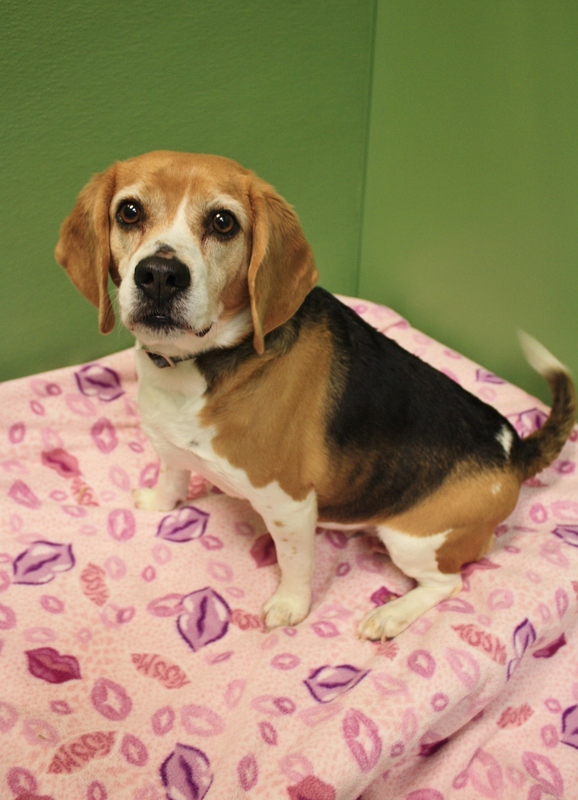 “Sweet Maggie is an 8-year-old Beagle with too many strikes against her, including epilepsy. Thanks to you, she had seven teeth extracted, improving her prospects for long-term good health. An adopter with experience with an epileptic dog saw her, saw the work that had been done for her and wanted to keep her run of good luck going by taking her home forever. “Pee Wee is a charming, snuggly Chihuahua mix who was surrendered to us by a man who was devastated because he had accidentally hurt this dog. This gentleman was dog-sitting Pee Wee for a friend and accidentally stepped on Pee Wee’s leg and broke it. The man had dogs of his own and was not accustomed to having a small dog underfoot. He offered to pay for half of the veterinary care for Pee Wee, but the owner said Pee Wee was not worth spending money on and wouldn’t take him back. Our gentleman already had all the dogs he could manage, could not truly afford any vet care, and brought Pee Wee to us. “We turned to the Petfinder Foundation’s Orvis grant funds for help. A local vet x-rayed Pee Wee’s leg, found a fracture that required surgery and performed the surgery for less than $250. A vet tech is providing foster care until Pee Wee can be safely adopted out.